Every year, TO DO invites a jury of design professionals to vote for awards in two “Best in Festival” categories and “Juror’s Choice,” while the public votes for four “People’s Choice” awards. Winners are awarded with iconic Herman Miller design objects. In this series, we are featuring past TO DO Award winners. G’zaagin Art Gallery resourcefully uses all of its materials, and finds creative ways for people to experience natural products. 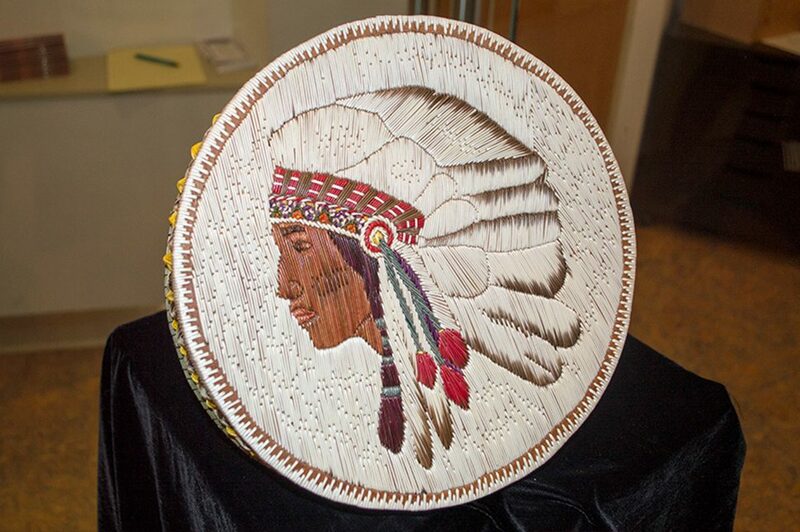 The quillwork featured in this exhibition has been harvested, cleaned, dried, and stored for the following years projects. It takes time and effort to gather all material, and five generations of learning to continually work toward teaching others this skill. Visit the TO DO Awards page to see past TO DO Award winners.